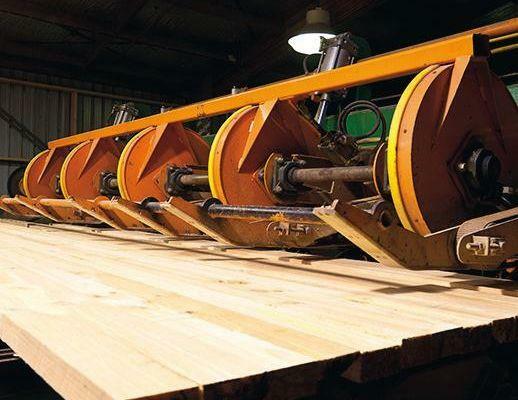 Red Stag Timber consists of a new USNR Tandem-Quadsaw sawmill line, with associated timber processing operations for kiln drying, planning, treating and remanufacturing. 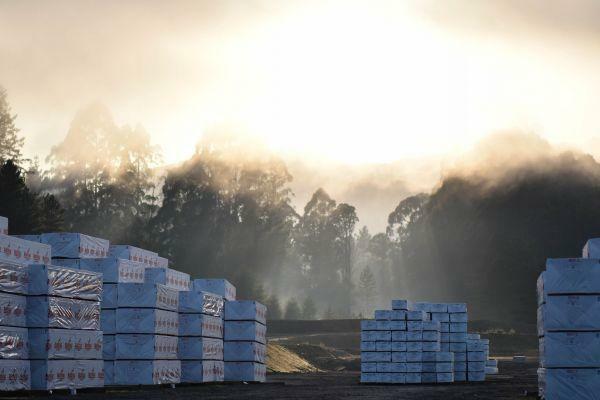 Currently producing over 550,000m³ of Radiata Pine and Douglas-fir lumber per annum, resulting in an annual turnover of over NZ $220 million. Red Stag Timber employs approximately 300 staff. Red Stag Timber has a long-term commitment to further developing its product range and market base. Its particular focus is on structural lumber products, but it also produces landscaping, industrial, appearance and furniture lumber grades. These products are sold in New Zealand and exported to Australia, the Pacific Islands, Asia, Africa, Europe and North America. 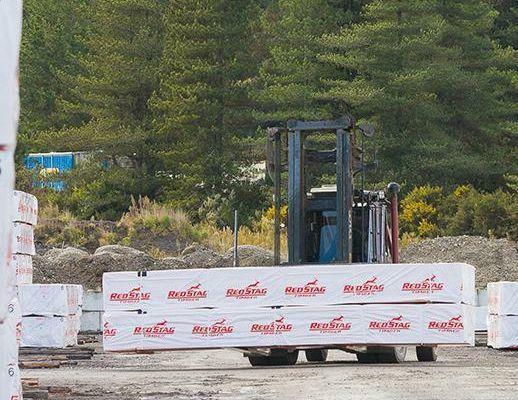 Timber Grades: All Red Stag Timber MGP framing timber is manufactured to the Australian Mechanical Stress Grading standard to ensure consistent stiffness and strength when building your home. Every piece is measured by a Metriguard stress grader and then a Comact optical grader to ensure only the highest quality timber reaches the building site. Timber Preservation: All Red Stag Timber MGP framing timber is treated to the Australian Sawn Timber Preservation standard in either UnTreated for interior or H3 for exterior construction. Low toxicity preservatives provide the best protection with the lowest environmental impact allowing Red Stag Timber to be safely used in all building projects. Timber Identification: Each piece is easily identified by the grade and treatment stamp placed on each board. The permanent stamp shows the Red Stag Timber logo and the Australian standards for grade and hazard class. Environmental Certification: All Red Stag Timber is produced from environmental grown and harvested plantation Radiata Pine or Douglas-fir. All Red Stag Timber MGP framing timber is Forest Stewardship Council (FSC®) certified to comply with the Australian Green Building Council requirements. Safety and Handling: When handling or cutting any timber is it advisable to wear a dust mask, eye protection, and gloves. Please work safely. All timber should be kept dry until used with exposure to the weather minimised. Do not burn preservative treated timber. 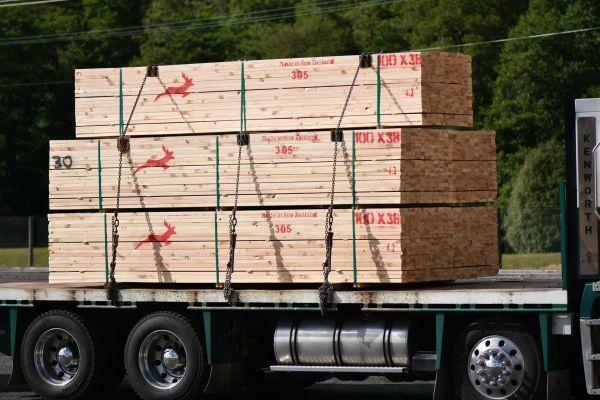 Timber Grades: All Red Stag Timber F-Graded framing timber is manufactured to the Australian Visual Stress Grading standard to ensure consistent stiffness and strength when building your home. Every piece is visually graded to ensure only the highest quality timber reaches the building site. Timber Preservation: All Red Stag Timber F-Graded framing timber is supplied UnTreated for interior construction. No preservatives provide the lowest environmental impact allowing Red Stag Timber to be safely used in all building projects. Timber Identification: Each piece is easily identified by the grade stamp placed on each board. The permanent stamp shows the Red Stag Timber logo, the Australian standards for grade, and the quality brands of the verifying companies. Environmental Certification: All Red Stag Timber is produced from environmental grown and harvested plantation Douglas-fir. 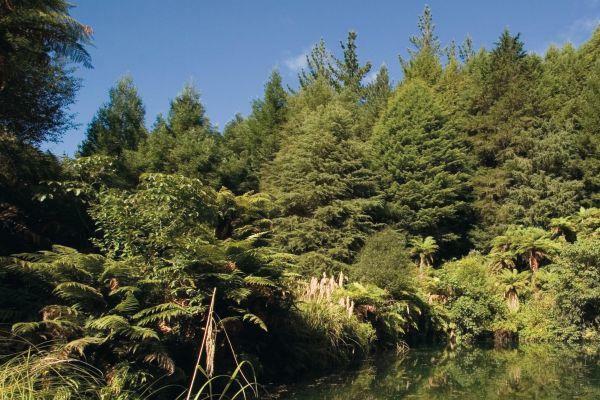 All Red Stag Timber F-Graded framing timber is Forest Stewardship Council (FSC®) certified to comply with the Australian Green Building Council requirements. Timber Products: Red Stag Timber produces timber for decks. Decks: 90mmx22mm reversible grip-tread or smooth finish profile. Timber Preservation: All decking timber is treated to the New Zealand Sawn Timber Preservation standard in H3 for above-ground construction. Low toxicity preservatives provide the best protection with the lowest environmental impact allowing Red Stag Timber to be safely used in all building projects. Timber Identification: Each piece is easily identified by treatment stamp burnt into one end of the board. This permanent stamp shows the Red Stag Timber plant number (888), the Australian hazard class (H3), and the preservative number (64). Environmental Certification: All Red Stag Timber is produced from environmental grown and harvested plantation Radiata Pine. All outdoor decking timber is Forest Stewardship Council (FSC®) certified to comply with the Australian Green Building Council requirements. Safety and Handling: When handling or cutting any timber is it advisable to wear a dust mask, eye protection, and gloves. Please work safely. Do not burn preservative treated timber. “A” Cut-of-Log (ACOL) Grade is cut from the outside of the log and consists of a mix of Number 1/2/3 Cuttings. This grade is used for furniture components that require a good recovery of clear pieces. Markets: Red Stag Timber supplies manufacturers in New Zealand, Vietnam, China, Malaysia, Indonesia, Thailand, Philippines and USA. Timber Identification: Each packet is easily identified by the tag on the end of the packet. Kiln dried packets are also wrapped with Red Stag Timber wrap. Environmental Certification: All Red Stag Timber is produced from environmental grown and harvested plantation Radiata Pine or Douglas-fir. Timber Grades: Industrial Grade is cut from the centre of the log. Timber Preservation: This grade is not preservative treated, however each packet is protected with an anti-stain and anti-mould preservative. As long as the envelope protection is not broken, the chemical will aid inhibit the growth of stain and mould for 8 weeks from the time of production. Should the Industrial grade be supplied kiln dried then the moisture content is dried to 20% or less. Timber Identification: Each packet is easily identified by the tag on the end of the packet. Each packet is also spray marked with the Red Stag Timber logo and customer indentification marks. Length: One length per packet. Length ranges from 3.0-6.0m with most being supplied in longer lengths such as 4.8/5.4/6.0m, however 3.6/4.2m are also common lengths. If you would like more information on Red Stag & Timber products, please fill in this form and will get back to you as soon as possible.